Thursday, February 28, 2019 at 7:00 p.m. | Doors at 6:00 p.m. | Magic Pass at 5:30 p.m. 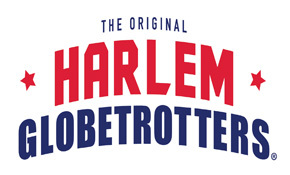 Committed to bringing fans the best experience and most electrifying athletes on the planet, the Harlem Globetrotters will give their fans a chance to get closer than ever to the action and the team’s stars with their brand-new Fan Powered World Tour. There will be over 20 occasions before, during and after the game where you’ll get a chance to interact with Globetrotters stars. Before the game, fans can score a ticket to Magic Pass, the Globetrotters’ exclusive pregame event. Magic pass gives fans unprecedented access to the stars of the team, an opportunity to learn tricks, shoot hoops and take pictures on the court. After the game, fans can participate in a free autograph session. Also, back by popular demand, fans will also get a chance to see the Flying Globies, an amazing acrobatic trampoline dunk team that will defy gravity during breaks in the game action. Venue Presale: Friday, December 28, 2018 at 10:00 a.m. – Monday, January 7, 2019 at 10:00 p.m.
Venue presale tickets will be available online only at Ticketmaster.com with the venue presale code. The venue presale code will be released via email to all venue subscribers at approximately 10:00 a.m. on Friday, December 28th. If you do not subscribe to The Dow Event Center email newsletter and would like to receive the venue presale code, please sign up for our emails at https://bit.ly/2LC76Y2 by Thursday, December 27th at 11:59 p.m.
Magic Pass is a 30-minute interactive event before the game (5:30 p.m. – 6:00 p.m.) where fans can learn tricks, shoot hoops and get autographs and photos with Globetrotters stars. *Each customer must have a show ticket AND Magic Pass ticket for entry. This includes all children and the parent(s)/guardian(s) wishing to accompany them into the building. Magic Pass sold separately. *Outside merchandise including t-shirts, basketballs, hats, etc. will be permitted for autographs. *Soft/rubber soled shoes must be worn on court. *Once you purchase a ticket, you will be emailed with more information about the Magic Pass Experience and how to purchase. *Additional fees may apply when purchased through Ticketmaster. Prices listed are when purchased in person at the Dow Event Center Box Office.